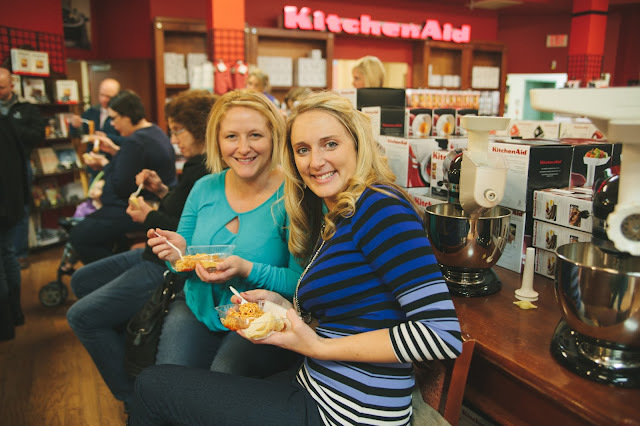 During the Culinary Tour, ticket holders enjoy the demonstrations and samples featured at downtown dining establishments. GREENVILLE, Ohio- When was the last time you enjoyed a meal in downtown Greenville? If it has been awhile, you won’t want to miss Main Street Greenville’s First Friday event in March, the Culinary Tour! This ticketed event, held on Friday, March 2nd from 6-9 pm allows you to eat and sip your way through the urban-spirited district. It’s the perfect opportunity to explore downtown dining locations you have not yet tried or an old favorite you need to be reintroduced to. Tickets will be available at The Darke County Welcome Center for $30 each, starting Monday, February 12th at noon. There are only 120 tickets available for the exclusive fundraising event for Main Street Greenville. The tour will consist of small groups, led by energetic tour guides. Each group will visit the businesses featured on the tour, enjoying a sample from each location. Sponsored by Romer’s Catering and Entertainment Facilities, the guided tour will begin promptly at 6:00 pm, allowing plenty of time to shop and explore in the historic district at the end of the tour. If you purchase tickets, it is very important you arrive in time for the tour to begin exactly at 6:00 pm. To remain fair to the other ticket holders, we will be unable to wait for those who arrive late. Each ticket will list a starting location, based upon which group you have been placed with. Report to the starting location listed on your ticket to join your tour guide and group. First Friday events are presented by Main Street Greenville, a non-profit organization that supports downtown Greenville, Ohio through stimulating and supporting revitalization efforts, historic preservation and economic growth. Learn more about the organization on their website, www.mainstreetgreenville.org, or follow them on social media. You can contact them at info@mainstreetgreenville.org or 937-548-4998.